Sean Keogh is Nathan’s Vice President for Financial Solutions. Sean has over 17 years of experience working in finance, investment and capital markets with a unique combination in both the public and private sectors. Sean was recently the Head of the Strategic Transactions Group for USAID’s Development Credit Authority (DCA) where he led the structuring of complex transactions. He developed and assessed the viability of several alternative financing options including blended finance, project bonds, securitizations, development impact bonds (DIBs), pooled finance mechanisms, and other structured transactions. 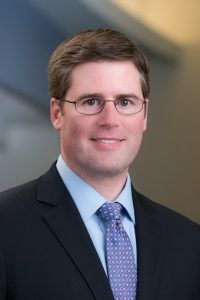 Prior to his role at DCA, Sean worked at Aldwych Capital Partners in New York where he launched the capital markets business and structured private Emerging Market debt and quasi-equity deals. He has also worked for Citigroup Global Markets and Banking and The Bank New York (BNY Mellon) where he managed more than $2 billion in assets and co-managed three publicly held mutual funds representing $17 billion in assets.